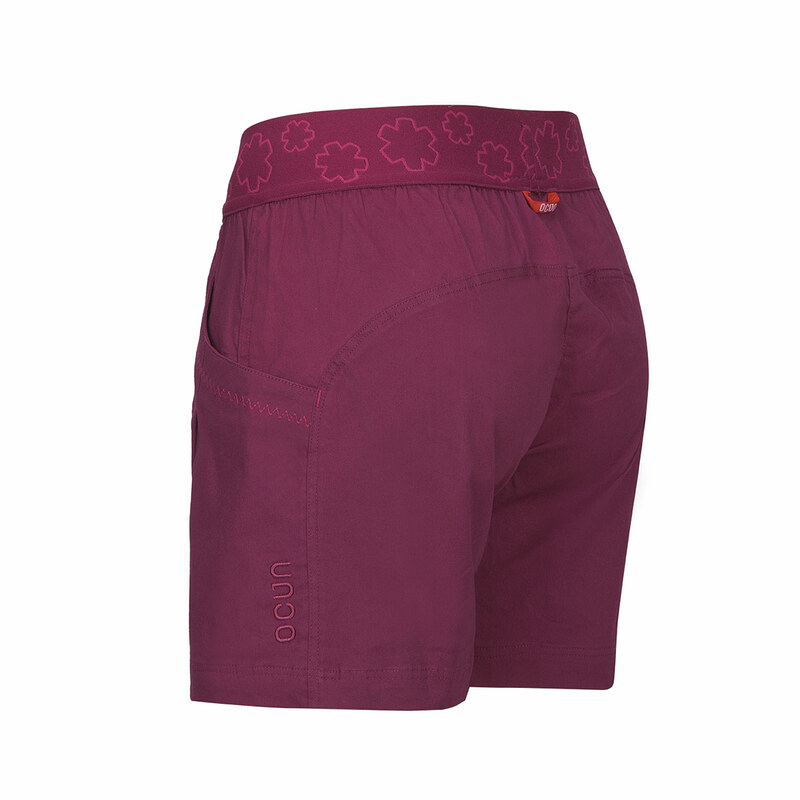 The Ocun Pantera Shorts are women’s climbing and bouldering shorts with a functional cut for unrestricted movement and a feminine design. An elastic waist, decorative stitches and colourful details made them unique but practical. Made from midweight cotton with a little elastane, they’re stretchy, but also nicely breathable and feature a climbing-specific cut so you have plenty of freedom to move. Other handy features include brush holders ans two large pockets Perfect for summer climbing or sessions at the climbing wall.